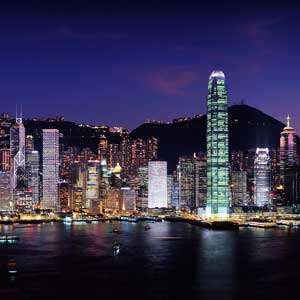 In 1949-1950, romance blossomed in Hong Kong in the movie “Love Is a Many-Splendored Thing.” The movie’s female protagonist declared, “I’m so happy it frightens me.” Monograms can’t promise you romance, but we can promise you happiness on this Hong Kong vacation. Why? Because we’ve handled all of the details for you, so all you have to do is show up ready to have fun. On this 4-day vacation, we’ve arranged your hotel accommodations, daily breakfast, and private guided sightseeing. Plus, you’ll have the services of a Local Host®, a local expert who will offer you suggestions, answer questions, and help make sure your vacation runs smoothly. This is a one-of-a-kind feature offered by Monograms to ensure you are comfortable and supported throughout your vacation. 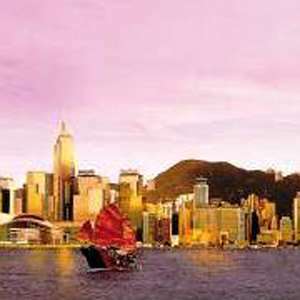 Your vacation begins the moment you arrive in Hong Kong, as we can whisk you from the airport to your selected hotel. Your Local Host will greet you with a warm welcome and materials to familiarize you with the city. The next morning, after included breakfast, we will pick you up at your hotel for private, guided sightseeing that includes a cable-car ride up Victoria Peak, the highest point in Hong Kong, with views of the city and the skyscrapers; a ride on the famed “Ding Ding” double-decker tram; and a visit to the Sheung Wan neighborhood, where you will explore the fascinating dried-seafood market. Along the way, stop in a local restaurant and enjoy lunch featuring dim sum, a local specialty. 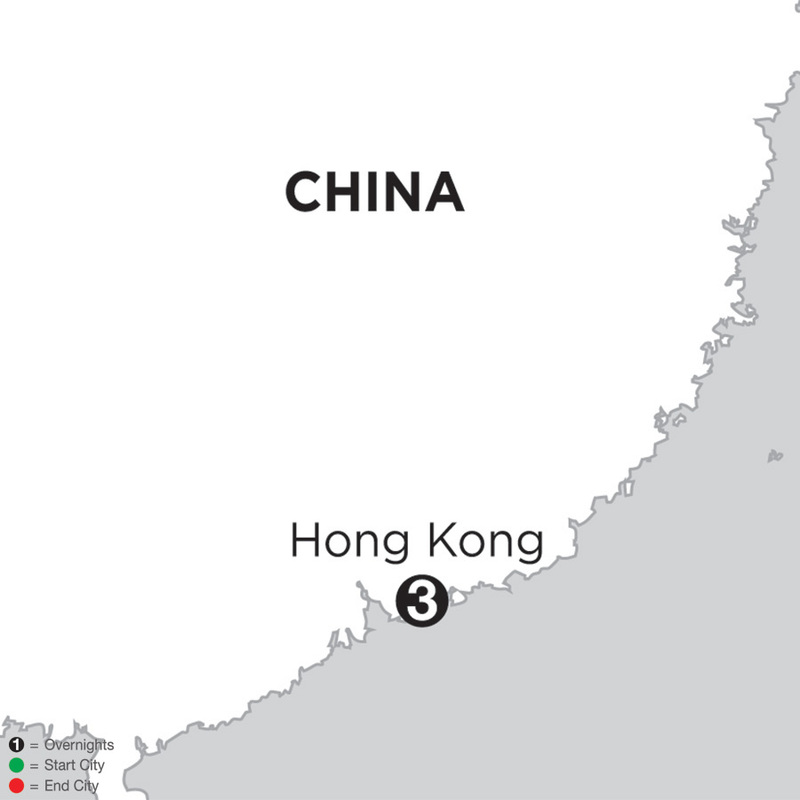 You’ll also have a full day to explore Hong Kong on your own (with the support of your Local Host, of course). 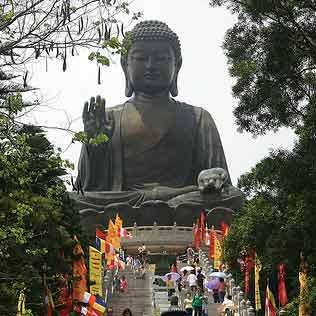 Perhaps enjoy a sunset or dinner cruise on the harbor; take an excursion to Lantau Island, Hong Kong’s largest island and where you will visit the Giant Buddha Statue and Po Lin Monastery; visit one of the night markets; or take a fun and fascinating foodie walking tour and sample some of Hong Kong’s favorite foods! 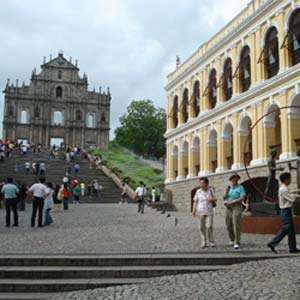 During your private guided sightseeing tour, Monograms includes a ride up the famous Peak Tram. With more than 120 years of tramway excellence, the Peak Tram takes you to the top of Victoria Peak, allowing you to bask in Hong Kong’s most spectacular views. Welcome to Hong Kong! Your hotel room is available for mid-afternoon check-in.